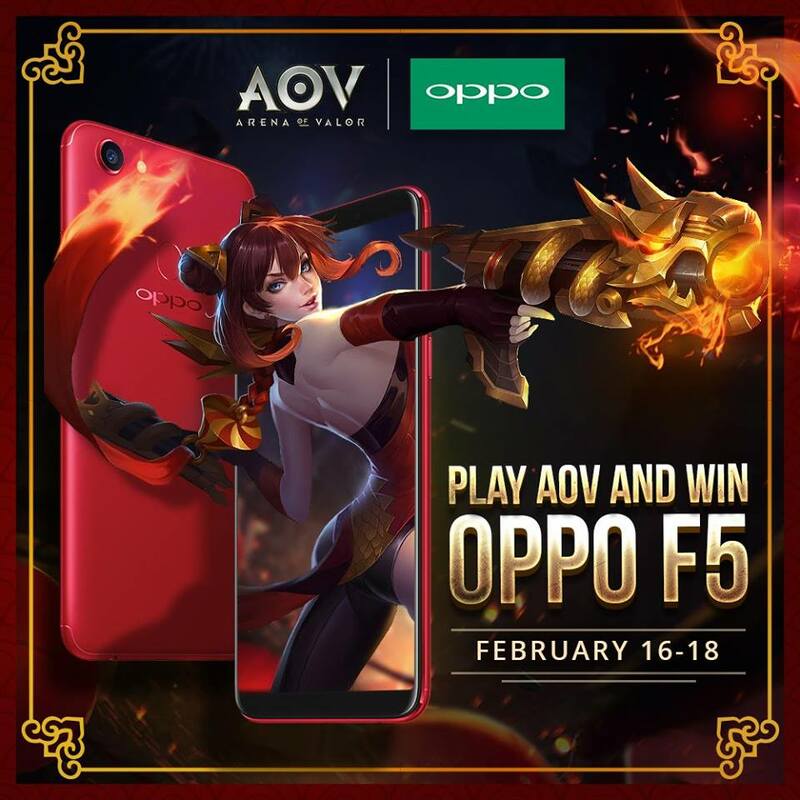 Home / aov / event / games / Play Arena Of Valor and Win OPPO F5. Play Arena Of Valor and Win OPPO F5. Want to win a brand new smartphone from OPPO? simply play the one hottest mobile MOBA game today, the Arena Of Valor. Play any 5v5 Grand Battle or Ranked Matches to get Red Packet! from February 16 - 18. You can collect up to 2 Red Packet each day, from Red Packet you may redeem either Skin Shards, Hero Shards or you might be the 1 of the 85 lucky gamer's to win an OPPO F5 Red this coming Lunar New Year. The OPPO F5 Red is one of the newest variant of OPPO's F5 series. To learn more about the OPPO F5 click here.